Are you a father or partner for the first time? 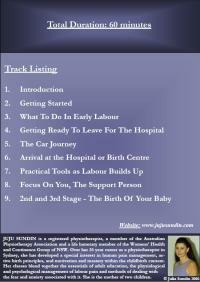 Are you wondering what you are going to be doing on the day of the labour? Is your partner telling you that are avoiding important discussion about the birth? 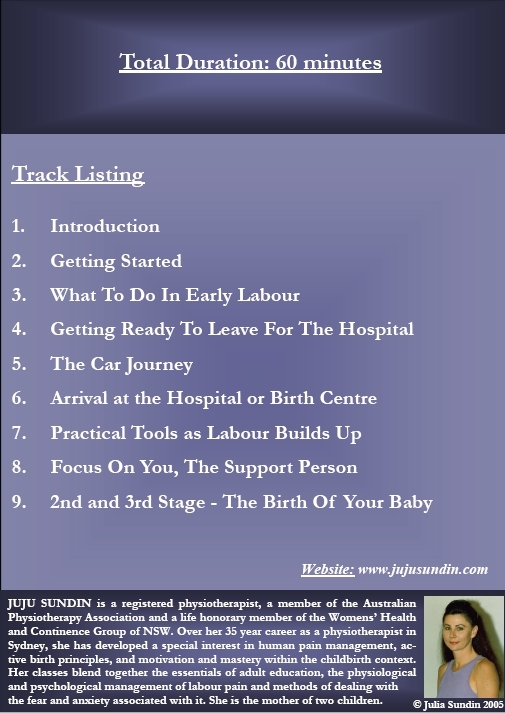 Are you thinking ‘well, I have no frame of reference for the experience; I have never been into childbirth before, so how can I discuss it?’ THIS CD IS FOR YOU! The CD will not only answer many, many questions for you, but it will also give you a clear structure of what you will be doing on the day. And you can listen to it in your own time. As many times as you wish. The script takes you through labour, step by step, from the moment you receive that call from your partner when you are at work – the call that says ‘Can you come home, I think this is it!’ You will learn the very important message of ‘you can’t take her pain away, so take that pressure of yourself!’ Once you relieve yourself of that burden, you can listen and learn so many fascinating things about childbirth, and specifically, your role in it. Helping your partner in childbirth is not as simple as giving her a little bit of massage, and encouraging her to relax. These things are a part of your role, but only a very small part of it. There is so much more. And it’s not difficult. But you have to know what it is. No one is born a labour coach, although most of what you need, you already have. You just need the detail now. Listen, learn, and listen again as often as you can. You do not have to listen all in one sitting. You can replay certain tracks over and over. Life does not teach us about childbirth until it is our turn to go through it; yet there is so much to know. Good luck, and enjoy supporting your partner in what can be the adventure of a lifetime.